Subscription services are everywhere you turn these days, and what you used to run out at the last second to buy at the drug store or grocery store can now be delivered to your door on a regular schedule. When it comes to razor blades for shaving, a lot of men and women seem to think the subscription model is an ideal one. After all, with a subscription service, you never have to worry about shaving with a dull blade or not being able to shave at all when you’re running late for a morning meeting or a late night date. 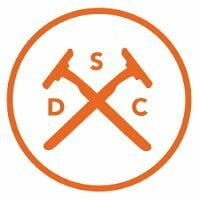 What Are Online Shave Clubs? The idea behind online shave clubs is that they take the guesswork and hassle out of buying one of life’s little necessities – razor blade cartridges and refills. Many companies also aim to make getting quality razor blades cheaper since prices in-store can seem very high. Most shave clubs work on roughly the same premise that they’ll be delivering razor blades to your door on a set schedule. For most services and users, this is a once-a-month delivery that includes a set number of razor refills for your model of razor. Razors are typically provided free of charge when you sign up for any online shave club. Some shave clubs also aim to take the marketing gimmicks and trickery out of selling razor blades, claiming that the big companies who sell in stores provide the same products with a much higher markup simply because they can. More and more shave club-type companies seem to be popping up each day, all with slightly different marketing angles. All of these online razor clubs do roughly the same thing – deliver razors and razor blades to your home or office. However, the product offerings are different for each brand, which is why many consumers choose one over the other. 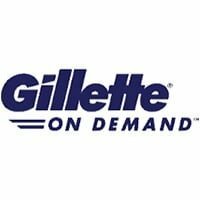 What Types Of Products Are Offered With Online Shave Clubs? Most online razor clubs work on a subscription model that allows you to pick the free razor handle of your choice. Products here range from simple, sporty options with one or two blades, to high-quality stainless steel options designed for regular shavers with four, five or six blades. Along with razor blade refills, many online shave clubs offer essentials like shaving cream, shave balm, aftershave, and post-shave lotions. Packages are commonly offered to include razor refills and items you may also need to be delivered to your home on a schedule like shaving cream and aftershave. Some online shave clubs have branched out past shaving-related products and have myriad offerings for personal care. Examples include products like shampoo, hair gel, body lotion, face wash and cleansing wipes for your body and face. Depending on the company, these can be ordered on a schedule with your razor blade refills or purchased individually whenever you wish. A lot of online shave club also offer deals for first-time users that provide them with a razor, refill blades and a few items like shaving cream and aftershave. These are often cost-effective and allow you to try out the company’s offerings without spending a lot of money or committing to a long-term deal. Pricing plans vary depending on the online shave club that you choose. For the most part, online shave clubs aim to keep razor refill costs under $10 per month. However, users that shave a lot of need to switch blades very frequently because of coarse beard hair may end up spending a little more. A few examples include a basic package from Dollar Shave Club for $6 per month. This includes a sporty razor and comes with four refill blades per month. A premium offering from the company, referred to as the executive package, is $9 per month. This includes a premium weighted metal razor and four six-blade refills per month. While each online shave club has slightly different offerings, many are similar to those listed above. Even the most expensive shave club offerings tend to be less than $20 per month since value is an important part of this business model. If you choose to add other products to your order like shave cream you’ll have an additional charge on your monthly bill. However, these are additional offerings and they don’t have to be part of your package. With most shave clubs, you can simply get the razor refills at an affordable cost. Many shave clubs also allow you to put your order on hold or change the frequency of your delivery if you don’t shave as often. This can be helpful for many people and will make the cost of using an online shave club even lower. 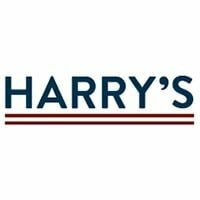 Online reviews for shave clubs like Dollar Shave Club, Harry’s Razors, Gillette on Demand and ShaveMOB are generally high. Users claim that deliveries are made on time – sometimes before the expected delivery date – and that the razors, refills, and items like shaving cream are competitive with those you can buy in the store at a fraction of the cost. In terms of negative reviews, some regular users say that their online shave club blades wear out a little faster and need to be replaced more often than the expensive in-store options. However, at a fraction of the cost per blade, most users are happy to replace blades more frequently and still get an excellent shave in the process. Shave clubs can make getting your razor blades and shaving essentials easy. With free trials from many companies, you can easily try out the on that seems like a good fit for you. If you shave often – or even once in a while – using one could result in some serious long-term savings.